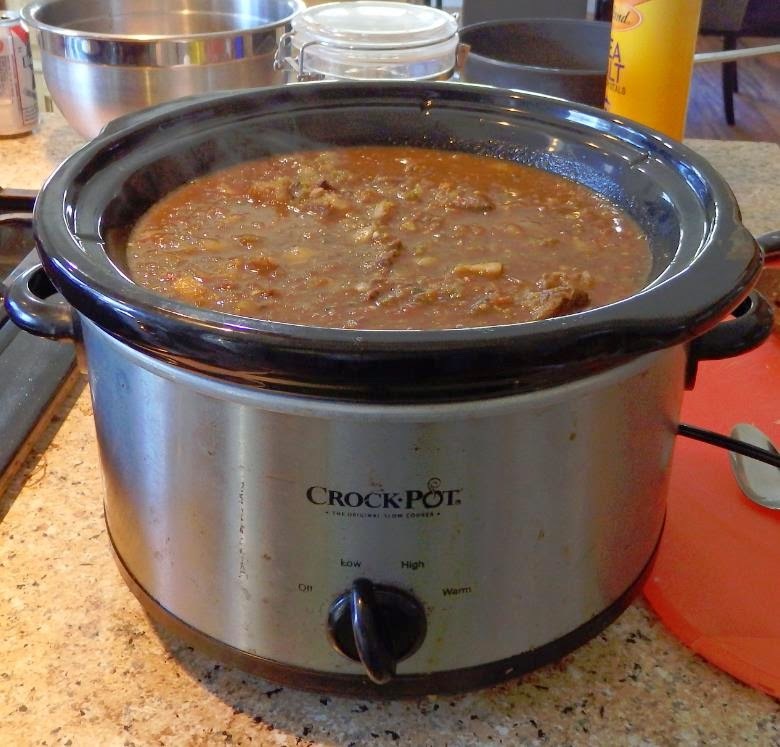 Chili, like spaghetti is always better the next day, so we made it yesterday, and will finish it at the fire pit by the final step, adding the cocoa and the Masa corn meal. We varied the proportions of meats and peppers and came up with 2 batches of chili that are very flavorful and obviously different. Here is what we started with. 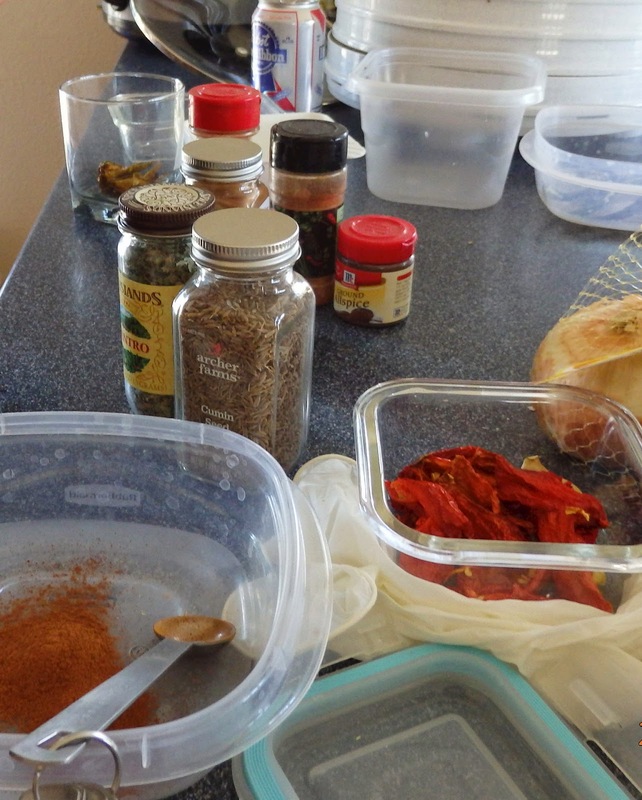 Here is the final batch of pepper blend being reconstituted, Habenero, Serrano, Jalapeno as the main ingredients, and a few pickled pepperoncini for more complexity. This batch is kept separate from the chilis to allow people to spice it up to their preferred level. The Habanero/Serrano final blend spilt out a little and was immediately labeled an EPA superfund cleanup site. Did I mention the bacon???!!!! 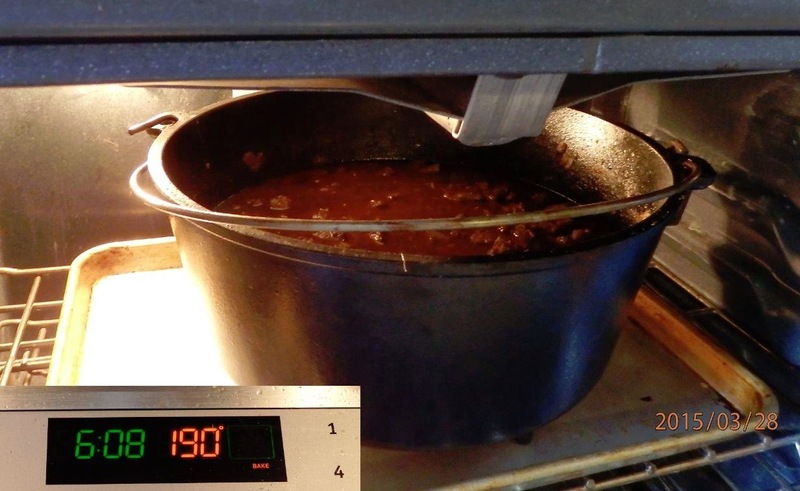 Love those dutch ovens, they can go right in the fire or right in the oven, this is the Chuck and Lamb chili, slow cooking at 190 for 7 hours or moreHandle with CARE! 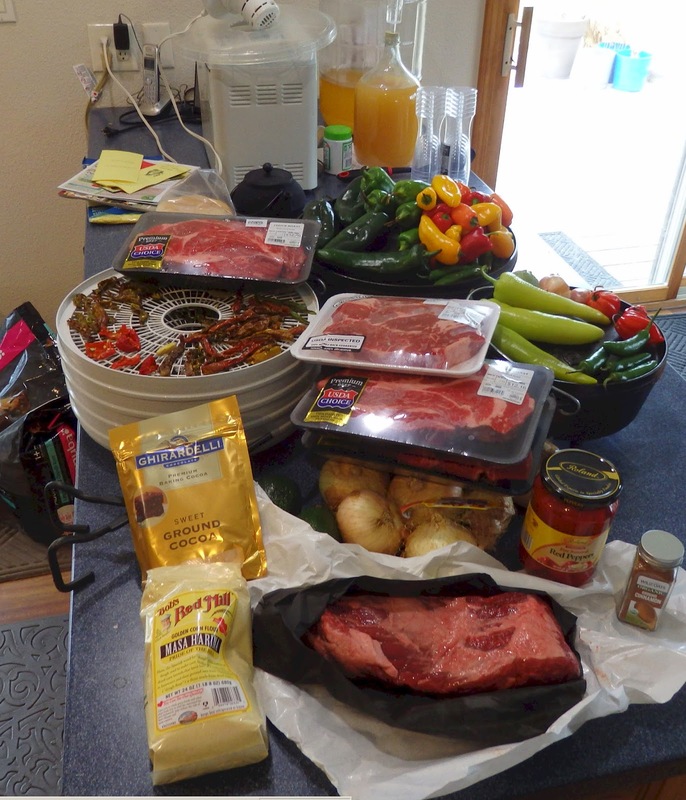 Its not even done yet, but has been proclaimed "Best Chili Ever"
This is authentic Texas Style Chili. No tomatos, No beans. Now we fire up the outside Fire Pit and finish it off over a tripod hanging the Dutch Ovens. We add Masa (special corn meal to thicken it up) and Mexican Chocolate, and bake for another half hour. I don't eat lab because its a child. Do you suggest a substitute? You could try goat for a stronger flavor, just make sure the butcher is not an amateur at goat as poorly butchered goat can be just horrible, they have several glands that must be properly removed.